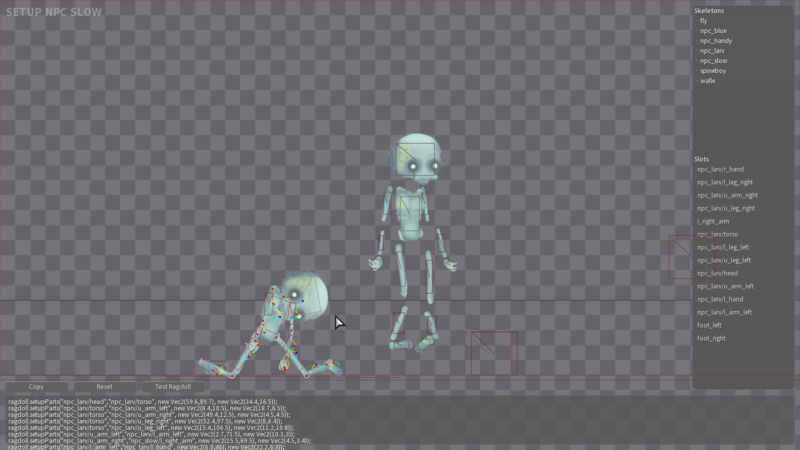 I'd like to create complex animations and I am wondering if Spine can be the right choice to achieve this objective: the pro version allows to use mesh deformations etc... but... do Openfl/Flixel support these advanced Spine features? @gig Check out @Claudio-Ficara 's dev log he extensivly uses spine to it's full potential in haxeflixel, amazing person to learn from if you want to follow that route should ask him there he's extremely nice. But you can't animate them. ... which reminds me that I should be releasing that. I'd recommend you to read the dev log! There's lots of things we did on Spine. Feel free to ask anything you like. Cheers!